Taapsee seeks the blessings at the Golden Temple before Manmarziyan. Actor Taapsee Pannu was recently spotted at the Golden Temple, Amritsar to seek the blessings before commencing her next film Anurag Kashyap's Manmarziyan. 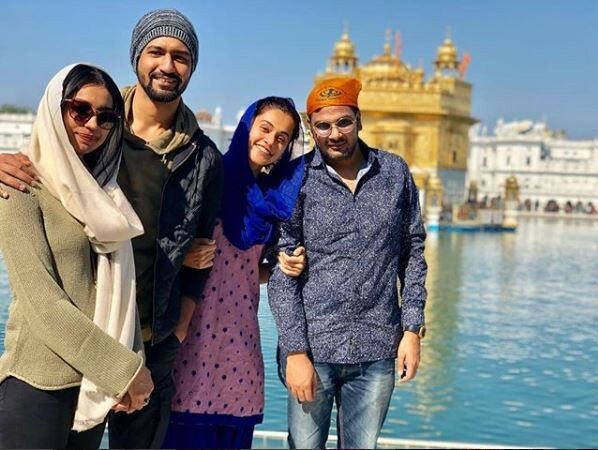 Though the actress regularly visits the Golden Temple, this time around she visited the Gurudwara to take blessings before commencing her film. Actor Vicky Kaushal, casting director Mukesh Chhabra and writer Kanika Dhillon also accompanied Taapsee during her visit to the temple.